Martin Foessleitner holds MA in Business Administration, has a 10 years management background in a Japanese company of the digital imaging business — first as a Product Manager in Eastern Europe and later as Marketing Director in Austria before he founded hi-pe.at in 1999. hi-pe.at is a design studio applying information and universal design for municipalities, industrial enterprises and non-profit organizations. He serves as an Executive Board member of Universal design e.V Weimar and IIID, the International Institute for Information Design. Martin Foessleitner teaches at various universities including the Sigmund Freud Privat Universität in Vienna and the Art Academy in Riga. Information design is a design that explains, introduces new information to the people. Where the data is complex or unstructured, a visual representation can express its meaning more clearly to the viewer. 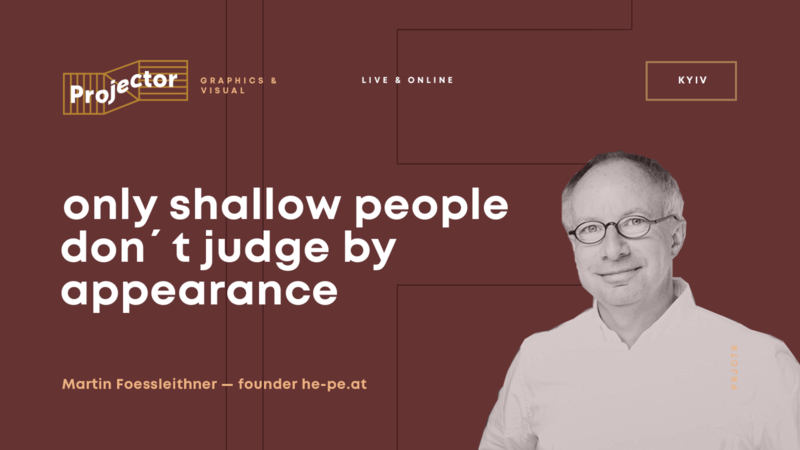 Martin Foessleitner told about function and beauty in information design: how the power of interest works, how to draw attention to information design and whether it is possible to make aesthetics functional. - When and where the functional aspect of aesthetics is so important and inevitable. You can purchase this video lecture. After payment, the video will appear in the same window and will always be available.